A fatter person will lose weight FASTER than a lighter person because they have a higher metabolism or they require more calories/energy to maintain their current bodyweight. The 150 pound person will lose only 1 pound on fat every 7 days (500 calories x 7 days = 3500 calories) on a 1500 calorie diet. 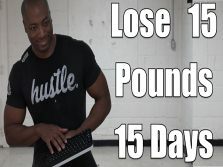 A 300 pound person may burn 1000 calories per hour doing any of these HIIT Workouts while a 150 pound person may only burn 500 calories per hour. So depending on how overweight you are it's not only safe to lose more than 2 pounds a week… It's almost impossible not to lose more than 2 pounds per week but as you lose weight your weight loss rate will slow down. The more active you are = the quicker you'll lose weight. The more intense you workout = the faster you'll lose weight. The longer you workout = the faster you'll lose weight. The more times a week you workout = the faster you'll lose weight. The more times a day you workout = the faster you'll lose weight. The more active you are while not working out = the faster you'll lose weight. Important: DO NOT Eat back the calories you burn exercising unless you want to lose weight slower. Your ability to recover & how much rest you need will all affect how intense, how long, how many times a week and how many times a day you can workout. If you need to eat 2500 calories per day to maintain your weight then you'll lose weight faster eating 1500 calories per day vs. 2000 calories per day. Eating under 800-to-1200 calories is not recommend because you may not be able to deal with the cravings and/or hunger and you may gain back all the weight you lost. If your diet before starting any weight loss plan was mainly carbs, high in salt, you drank little water and/or ate these bad foods then you've more than likely gained a lot of false fat or water weight. Study after study after study shows that when protein is at least 30% of your diet you'll lose weight faster. You'll burn an extra 262 calories per day. You'll eat almost 500 less calories per day. Use supplements like Optimum Nutrition Whey, Combat Crunch Bars or even Quest Protein Chips to help you get more protein in your diet. Overall it DOES NOT MATTER WHAT YOU EAT when you're trying to lose weight. If you eat more weight loss foods and less bad foods then you'll lose weight faster & easier since you'll have less cravings and hunger that'll will cause you to eat more slowing down your weight loss. The more motivated you are = the quicker you'll lose weight. You'll lose weight faster if you NEED to lose weight vs. just wanting or wishing to lose weight. I'm a female 5'1. I weigh 210 pounds and i would like to lose 60 pounds in the next 3 months. I have a very slow metabolism and don't seem to lose weight even with a low caloric diet. Is it possible and what can i do? Hello I am a 41 5’5” woman weighing 235 lbs, I a reducing my calories daily to 1200-1250 and 45 minutes of cardio daily (7 days a week) how long should it take me to reach my goal of 275 lbs! Maybe less depending on how I look honestly. Can I do this in 6 weeks? Or will 12 weeks be more attainable? you mean 175? 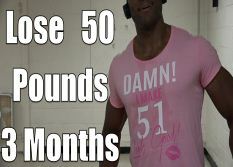 you'll lose a lot in your first 6 weeks but I cant see you getting to 175 or losing 50 pounds in 6 weeks. Good Morning, Thank you for your simple straight forward advise. I'm 47 f. I have a serious carb sensitivity. I am planning on losing 60lbs in three months. 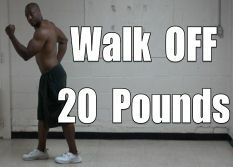 Starting weight of 302 with a low carb diet and walking. Doable? I have a desk job but try to hit 10,000 steps a day. By the time I get home in the evening I'm usually 6,000 or 7,000. 3 days out of the week I jump on my treadmill and walk at a brisk pace for 30 to 45min. The goal is to hit anywhere from 10,000 steps to 12,000. Aside from walking I also have been watching my calorie intake 1200 -1250 a day and try to exclude carbs. I'd like to be under 200lbs I guess my question is how long until then? I have been tracking what I eat on my Samsung phone app. and keep track of my steps with a Fitbit app and watch. Im surpgo here to speed things uprised you're not already there. I’m 5’4 and 326 pounds. I just started Nutrisystem Diabetic plan I’ll be doing over the next 2 weeks and walking 30 min a day. After my 2 weeks I’ll switch to a pescatarian/veggie diet. I want to weigh 250 by May 21 2019. Is it possible? If I weigh 350 lbs 5’4” female. Mostly sedentary lifestyle. I need to drop weight for my health. How much can I expect to lose in about 2 months if I start walking watching what I eat. Hello. I'm a 38-year-old female, 5'5" and 295 lbs. I just got a new doctor and am now on a 1200 calorie diet. Vegetarian only, not vegan. I work a desk job, so very little activity most days of the week. Is it reasonable to think I might be able to lose 50 pounds in 3 months? If so, how can I boost this without intense exercise?How long overall do you think it will take to lose 100 pounds? Thanks so much! very possbile at your weight and calorie intake. 46 year old female weighing 325 pounds. Not overly active and poor diet. If I followed 1200 calorie diet and started walking daily could I lose 80 pounds in 5 months? Any suggested diet plans and exercise to help? Yes! You can do it! I started out at 312 lbs. 9/08/18 I weighed 227 this morning 2/5/19. You can do it!! Discipline and Hard Work! 175cm in height 23 year's old. I was wondering how mush you think i can lose before Christmas. My gym instructor said his gonna give me a strict workout plan as well as a meal plan. Would love to hear what you have to say as I'm scared to start. Great stuff..you seem mega focused. I recommend you get my fitness pal app. It helps you to track calories easy as. J. 26y M 400 at 6’ 5” correctional Officer I want to drop to 300 before may. That’s 7 and a half months is that a obtainable goal. 5'5 275lbs presently want to drop to 200 that's next goal mark by Feb? Could this process work w minimal mobility * dog walking occasional errands, dealing w basic movements & not too much sleep *dealing w senior parent? I take in about 1500cal - mainly sugars & carbs.-sodas -need energy. No coffee or redbull. Blood work fine. Recently adding more "healthier choices". Remove carbonated drinks- hunger increased. Eat small about 7 portions. Not much of Change in eating time. But down swirl is low energy. Plus lost weight was 310 & now 275. Hit a "slow" point / not losing at all. Any pointers? Aside of increase mobility? & No diet supplements either. Aloha! I’m 313 pounds, 5 years post gastric bypass surgery. I started a 1500 calorie plan yesterday but I’m also a vegetarian so I only average 40-60 grams of protein a day. I just purchased Sunwarrior vegan protein which has 28g of protein per serving; I’ll start Sunwarrior as a protein meal replacement 1-2 times per day tomorrow. My goal is to weigh 280 pounds by my 34th birthday at the end of November, is that possible on 1500 calories a day at my weight? I also plan on adding cardio and strength training 15 minutes daily using YouTube HIIT, dance and resistance band workouts. I am 5’2 and weigh 203lbs. I will do a 30 minute work out every day and watch my calories. Is it possible to be 165-168lbs by that time. Hey I’m 300 pounds now after giving birth to my son 8 weeks ago... before I was eating well over 3000 calories a day but now I’m currently eating 1200-1500 calories although it’s extremely hard, I’ll keep at it.. which exercise do you think I should do to help me get to my first goal weight of 250 pounds and how long do you think it would take ? Yes the intermittent fasting 12-14 hours at night is amazing and I have more energy and less hours to overeat! Combined with Gym and running I’m getting slimmer and still eat tasty healthy food, plus coconut oil, turmeric and avoid dairy , pasta and bread. Correction: I'm weighing 180. Want to drop down to 150. Is 45 days out of the question? I'm 200 pound , 31 yo male, 5'6" . I will run an hour a day and lift weights an hour a day. Eating mainly fruits and veggies and a protein shake and bcaa and creatine to compliment wkout recovery. How long would you say I can drop weight to 150?? I've gone to a high protein low carb low fat diet. I have severe diastasis recti (severe separation of stomach muscles that can only be corrected thru surgery) and Type 2 Diabetic after having my kids. I do 15-20 min punching bag and speed bag 6 days week (for the last 2 weeks). I keep a food journal that helps me measure my calorie intake. I put down EVERYTHING I eat and drink. I've maintained an average of 1400 calories a day. I have lost 13 lbs in 20 days. My goal is 175 lbs. How long do you think I may reach that? Breakfast: 2 cups coffee with SF light creamer. 2 eggs with hot sauce. Lunch: 1 can of Tuna with 1 tablespoon olive oil mayo, hot sauce and pickle. Or 1 chicken breast. Dinner: 1 chicken breast, 1/3 cup brown rice, and 1 cup green veggie. How can I improve while still handling my food addiction? Unfortunately the link you replyed with to help with food addiction is not working. Thank you for responding so quickly! I will endeavor with my current diet, and work out. I do hope that as my weight loss continues, that I will find I have gained more energy. I also hope that means I will find myself doing more. Its been quite the challenge, and the results have astounded me to the point that its all very fun! From making my meals, planning them, and of course, beating the shot out of those bags every night when my crazy kids finally go to sleep! Hi I am a 240 pounds and 5'2", 26 years old. I just recently 4 days ago stopped drinking sodas, fast food, junk food, and take out dinners. I try to drink 5 bottles of water a day, and i follow the intermitten fasting plan where i eat from 1pm to 8pm eating between 1000 and 1200 calories a day. I use the my fitness pal app to help calculate my nutrition intake. I use an elliptical for 30 min when i get home because by time i eat and exercise I need to shower and go to bed. Do you think that it's possible for me to lose weight with this regime im on? I am 15 at 245 pounds and 6'4, I am almost obese judging by bmi, I'm not too sure how much I eat per day, but I drink around 3-4 bottles of water per day. If I had to guess how much I eat, I would say 1500 to 2500. I'm not sure if I have gained any muscle, but the workouts I do usually consist of swimming, playing basketball, or just daily chores like mowing the lawn. Please respond so I know if I need to change anything. I am a 370 pound male, 14 years old, I am 6’1’’, I have football practice 5 days a week, I eat around 2 thousand calories a day, and I weight lift. What can I do to lose weight? Hey there. I'm a 57 y woman weighing about 215lb. Due to a back injury, I can't exercise. Walking is very difficult. How can I lose about 81lbs? I would really appreciate any help you can give me. I'm 255 pounds at 19... I've tried diet and exercise (eating 1200 cal. And playing Wii fit and jump roping). In the last 3 months I've only lost 10 pounds. I just want to lose alittle faster but still be at a healthy rate and keep it off for good. Any suggestions ?